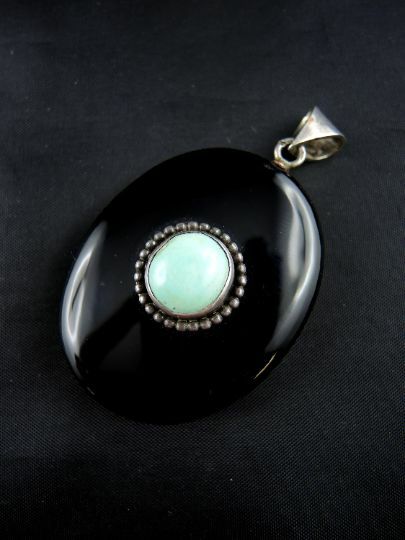 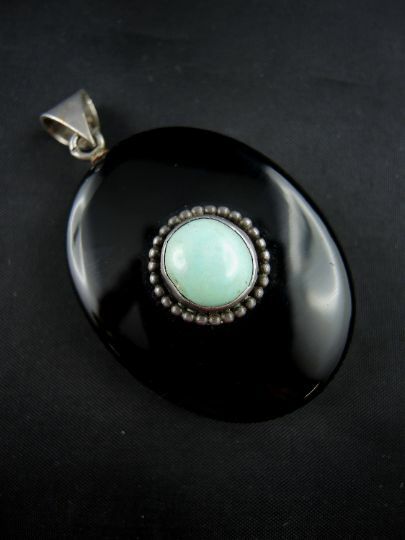 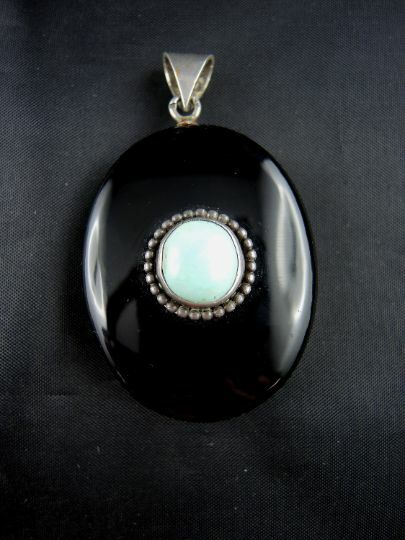 Impressive opening pendant in silver (boar hallmark) with onyx set with a turquoise cabochon in its centre. 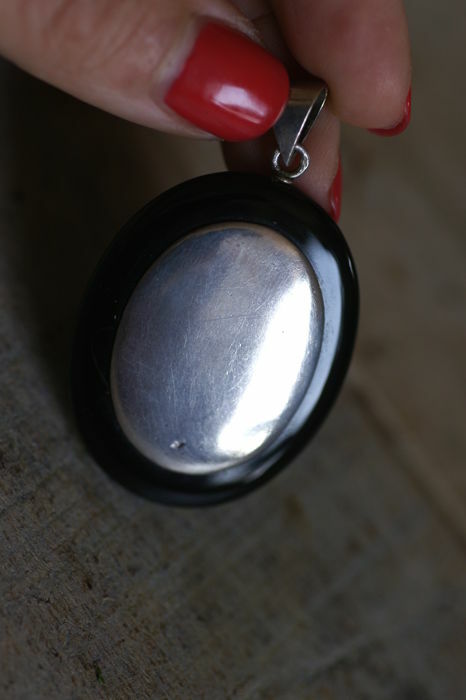 French craft from the 19th century. 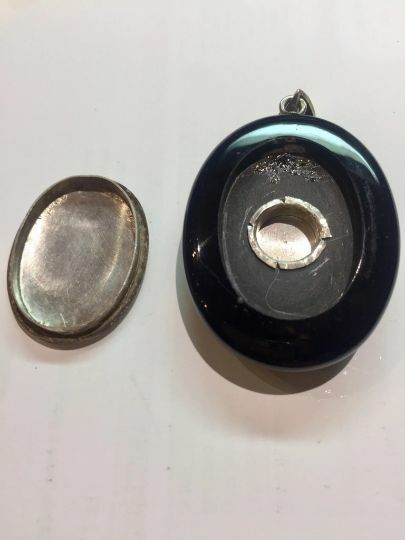 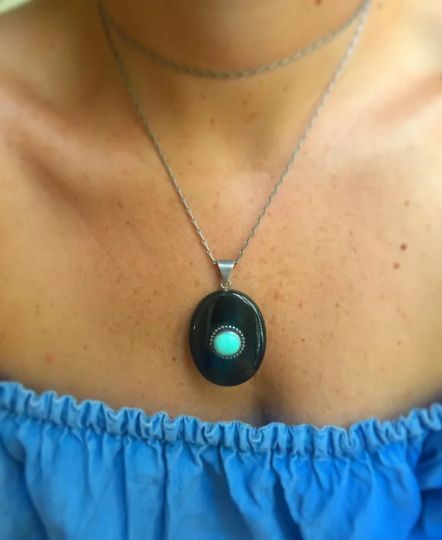 ConditioN: light oxidation of silver parts, slight micro scratches and marks on the onyx and turquoise, and traces of glue on the inside of the medallion, see photos. 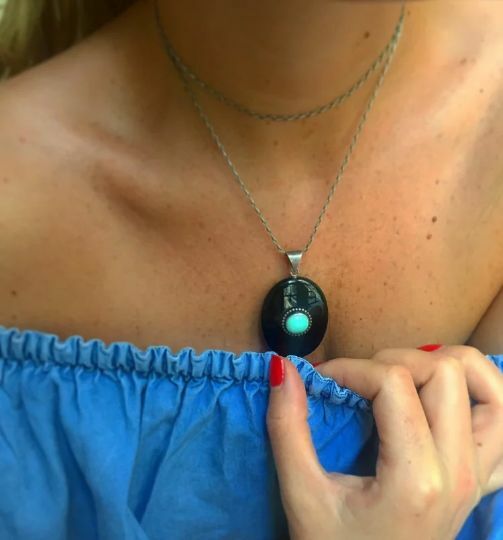 Insured and tracked shipping by Colissimo.